The quack-quack-quacking of ducklings is one of my favorite sounds of spring here. We love to visit our local park to see new ducklings following their mama around the lake. Our neighborhood ducks always remind me of one of my all-time favorite children’s books, Make Way for Ducklings by Robert McCloskey (affiliate). It’s one of those classic books that you don’t mind reading over and over…. which is good because I definitely have! In fact, as I write this, I can’t stop all the duckling names from running through my head. Jack, Kack, Lack, Mack, Nack . . .
Once the ducklings are born, mama teaches them how to swim and dive and walk in a line. Papa, meanwhile, goes off to explore the river. He tells them to meet him in a week at the Public Garden. On the appointed day, Mama leads all eight ducklings across a busy street, where they cause an exciting traffic jam. This book is best for children who have the attention span for longer picture books and would be an excellent story to use in practicing story retelling or story sequencing. Also, if you’re interested, there’s a pretty amusing backstory to this book. 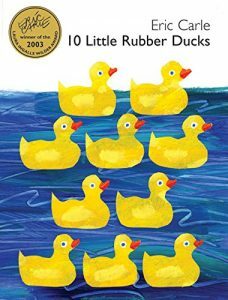 10 Little Rubber Ducks by Eric Carle is another charming duck book (affiliate). This one I had somehow missed until last year, when a newsletter subscriber asked if I had any activities to go with it. 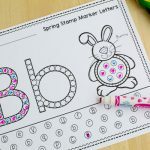 As soon as I read the book I knew I wanted to make some cute letter recognition worksheets for it. This captivating picture book is about ten yellow rubber ducks that fall off a cargo ship. Each duck drifts off and meets a different animal. The last one joins a mother duck and her ducklings, and it fits right in, despite being only a rubber duck. It’s a sweet story with a simple plot and Eric Carle’s trademark artwork. It’s perfect even for young preschoolers, although older kids will like it too. You might also like to share that this book was inspired by a true story. There really was a container of rubber ducks that fell off a ship and drifted far and wide across the ocean! 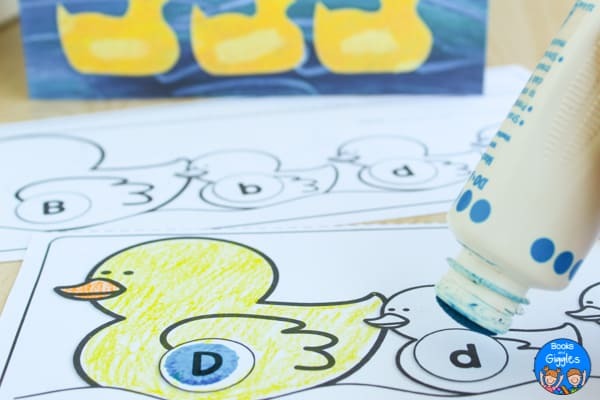 These uppercase-lowercase practice worksheets mirror the 10 Little Rubber Ducks story especially. One of the ducklings is different than the rest! 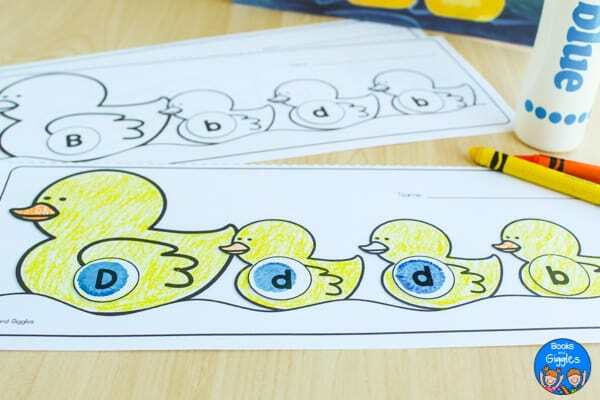 Students use a dot marker to dot the matching mama and ducklings, and either a different color or no color for the one that is different. 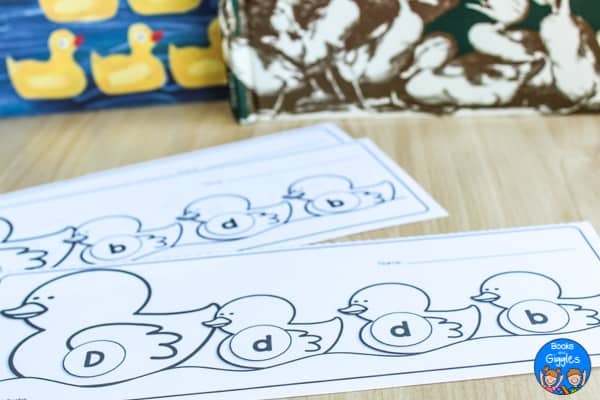 The lines of ducks come two to a page, with a dotted line in between so that you can cut them apart. That way you can use just the letters each child needs to work on. 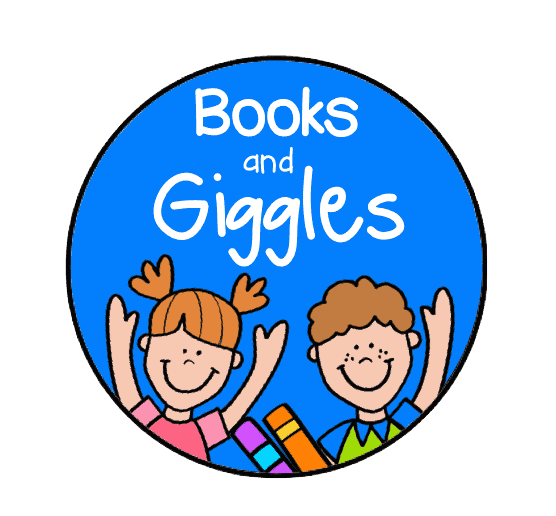 To grab your copy, click on the blue Books and Giggles rectangle at the very bottom of this post. 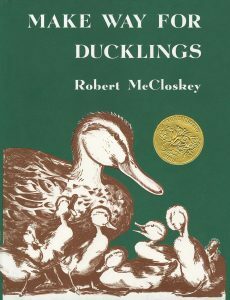 If you’re using these as a story extension for Make Way for Ducklings, the “different” duckling can be one who doesn’t rhyme. You can pretend a duckling from a different family got in their line. 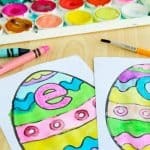 RELATED: If your kiddos love dot markers, you might want to check out these dot marker ABC worksheets in my store. 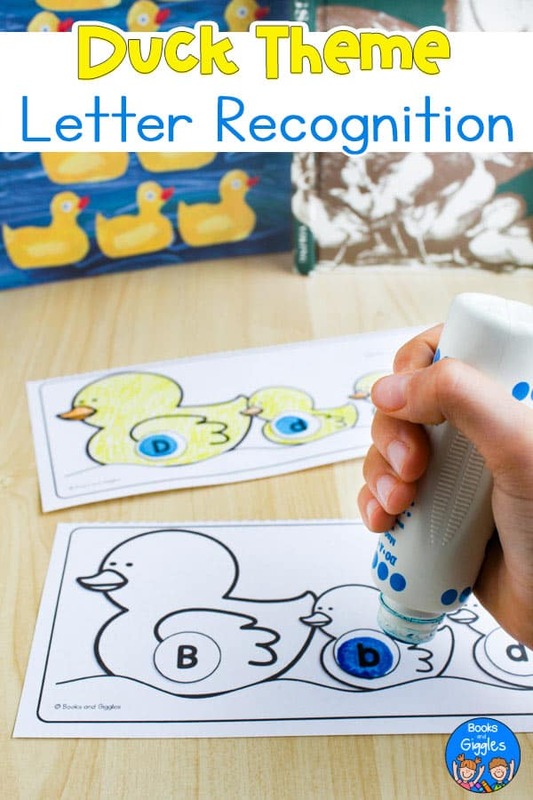 I hope your children enjoy these letter recognition worksheets for 10 Little Rubber Ducks and Make Way for Ducklings. 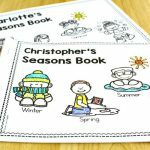 If you’re looking for more story-inspired activities, you might like to browse my Picture Book Activities board on Pinterest, or one of the fun little sequencing crowns over in my store.